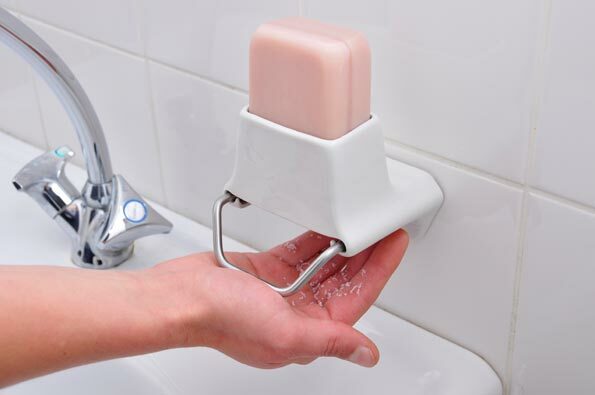 The Soap Flake Dispenser lets you enjoy bars of soap in a comfortable way and has a reduced impact on the environment compared to liquid soap. Today, most of the soap we use is liquid soap, which contains a lot of water. Block soap instead is more concentrated and therefore has some ecological benefits: You don’t transport unnecessary water around. In place of plastic bottles you can simply use paper for packaging. The solid blocks can easily be piled and allow a greater space efficiency in a truck.